A big strength of Cacti is its possibility to use other tools into plugins in its web interface. The plugins will be useful if you want to group some network related softwares into one interface. On the cactiusers.org website, you can find and download all the available plugins. We chose here the tutorials about three very useful plugins: NTOP, syslog-ng and PHP Weathermap. The first thing to do is to install a mandatory plugin, which is required before installing the other one, it is called the "architecture" plugin. - For Cacti 0.8.6i & j, it can be downloaded (1.1) on the cactiusers.org website. - For Cacti 0.8.6h, it can be downloaded (1.0) on our website. If you install cacti with apt (packaged install), you can know your cacti version with the "apt-cache policy cacti" command. Uncompress the file you just downloaded. Move the files inside the architecture plugin directory you just downloaded into the directory containing the cacti website. Just be CAREFUL to run the patch matching your cacti version. 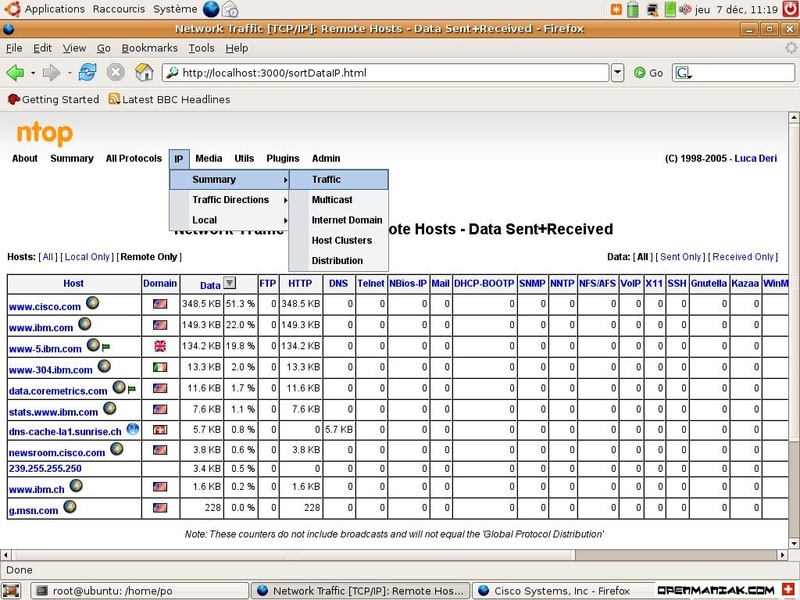 NTop is a tool that will provide statistics about network usage. download the plugin and uncompress it in the ntop directory. Login in to your cacti interface -> click on the console tab -> click on "User Management" in the "Utilities" section -> click on an user -> enable the "View NTop" checkbox. For more information about PHP Weathermap, read the the PHP Weathermap tutorial. Login in to your cacti interface -> click on the console tab -> click on "User Management" in the "Utilities" section -> click on an user -> enable the "View Weathermaps" checkbox. See the weathermap tutorial for help to configure the tool. An impressive plugin that permit to read the syslog-ng messages. You can trigger alerts or remove logs from the interface. For more information about syslog-ng, read the the php-syslog-ng tutorial. If you don't already have it, you have to install syslog-ng et forward the logs collect by it towards the MySQL database. Syslog-ng will uninstall the default syslog server. Forward the logs to the MySQL database. We need to create the MySQL database and then import the tables with the sql file. Create a new file and insert the line below, save the file as syslog2mysql.sh in the /usr/share/cacti/site/plugings/haloe directory. Don't forget to change the MySQL username and password. The script means that if the mysql.pipe file does not exist, create it. Run the syslog2mysql script to see if everything is okay. Errors will be displayed in case of problems. Stop the script with "Ctrl+C". Finally, we need to configure two cron jobs. # when the computer boots, it starts automatically the syslog2mysql.sh script. # For an unknown reason this is not done automatically by the syslog plugin. The crontab command will update the /var/spool/cron/crontabs/user file. Login in to your cacti interface -> click on the console tab -> click on "User Management" in the "Utilities" section -> click on an user -> enable the "View Syslog" checkbox.